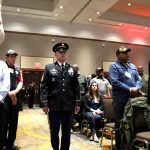 For the fourth year, Hospice of the Chesapeake reached out to Vietnam War veterans to celebrate Welcome Home Vietnam Veterans Day at the Hilton Baltimore BWI Hotel in Linthicum. 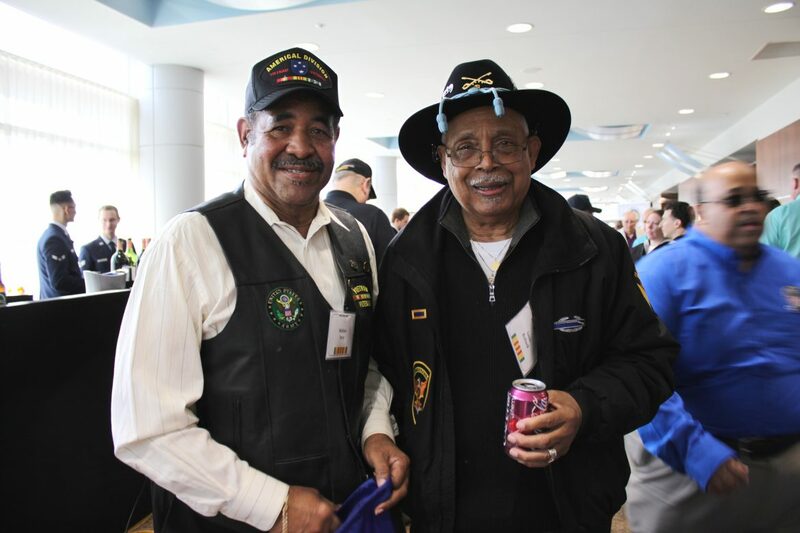 Around 500 people attended the March 29 event, nearly 200 Vietnam War veterans. 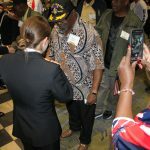 The three-hour event began with an opportunity for the guests of honor to reconnect and to visit 15 different groups and agencies offering resources aimed at assisting Vietnam veterans. 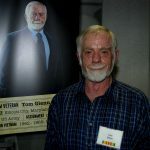 The Maryland Public Television Salutes Vietnam Veterans Traveling Exhibit also was on site, and several of the 16 men and women featured in the exhibit were there to participate in the celebration. 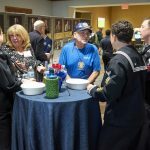 The 90 minutes leading up to the evening’s program also included food, slideshows of veterans both still with us and who have passed on, and plenty of time to mingle with fellow veterans. The program included musical performances by Voices of Vets, Inc., an Honor Salute led by Fort George G. Meade Command Sgt. Maj. Brian Cullen and a number of speakers, including Maryland Department of Veterans Affairs Secretary George W. Owings III, a Marines Corps Veteran who served in Vietnam, retired Army Command Sgt. 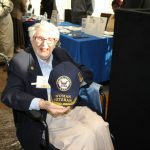 Maj. Rodwell Forbes and keynote speaker Deborah Grassman, a nurse practitioner who cared for more than 10,000 dying veterans during her more than 30-year career with the Veterans Administration. Her experience led to her co-founding Opus Peace, an organization with a mission of responding to people who experience the pain of trauma, abuse, self-neglect and serious illness. Each speaker touched on the message of the need to help Veterans heal the psychological wounds from battle in Vietnam and rejection from their native land. 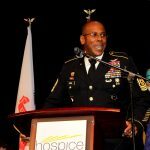 Headquartered in Pasadena, Maryland, the nonprofit is a Commemorative Partner in the United States of America Vietnam War Commemoration as well as a 4-Star Partner in the We Honor Veterans program, a national hospice initiative honoring the men and women from all branches of the military who have served our country.